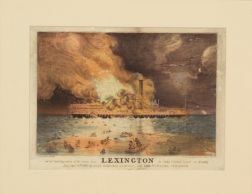 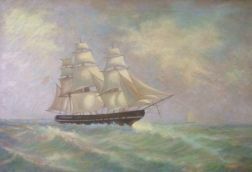 Currier & Ives, publishers (American 1857-1907) The Yacht 'Henrietta' of N.Y. 205 tons. 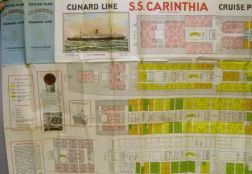 1932 Cunard Steam Ship Company Cruise Plan for the S.S. Carinthia. 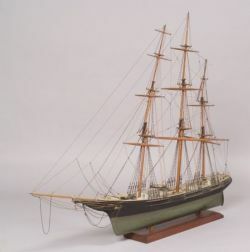 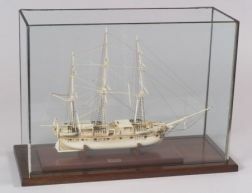 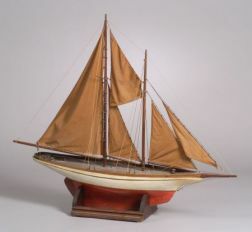 Cased Model of New York Tugboat "SLOCUM,"